This issue, though having no intended theme, contains a particularly poignant selection of projects spanning varying genres. Much of the work is sincere by nature, and the subjects thoughtful; exploring religion and worship in the technological age, unearthing buried and forgotten transgressions, and contemplating impermanence. It’s heady stuff. As ever, we are proud to provide a free platform that shares such varied and exciting work from promising new photographers. Mary Perez makes this issues lead feature with Full Gospel, documenting the megachurches of South Korea. Her photograph of Yoido Full Gospel Church is our first non-portrait to feature as cover, and it’s a striking image to break tradition with. Tom Roche interviews Perez about the importance of her background in religion for the project, her stylistic approach, and her plans to further explore the subject. Bertie Oakes, who oversees our new online series Photographic Duos, summarises Martin Errichiello & Filippo Menichetti’s shared body of work. In Quarta Persona is a complex historical investigation of the region surrounding the A3 highway in Italy, uncovering a troubled geopolitical past using varied mediums. 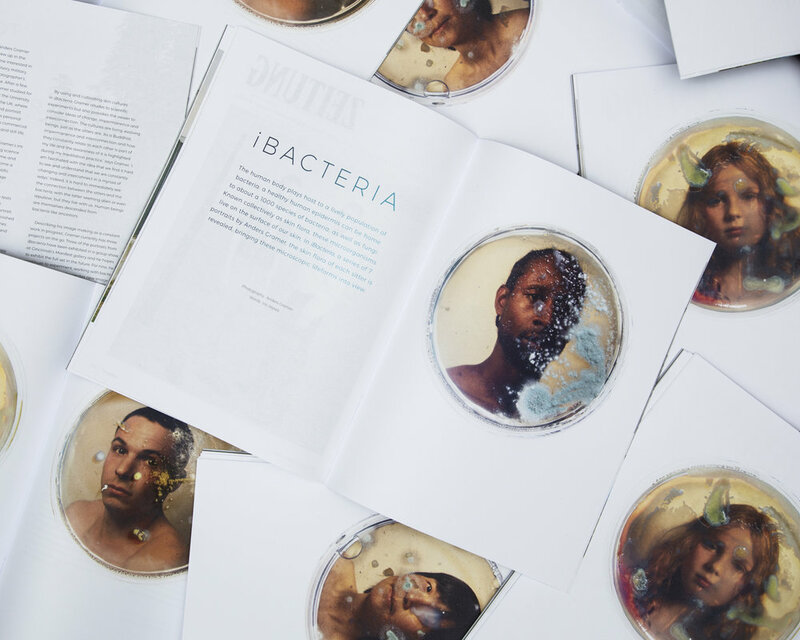 We feature 4 images from iBacteria by Anders Gramer. His series of portraits peering through the growth of their own skin flora is a nice idea neatly executed, and well expanded upon by writer Iris Veysey. 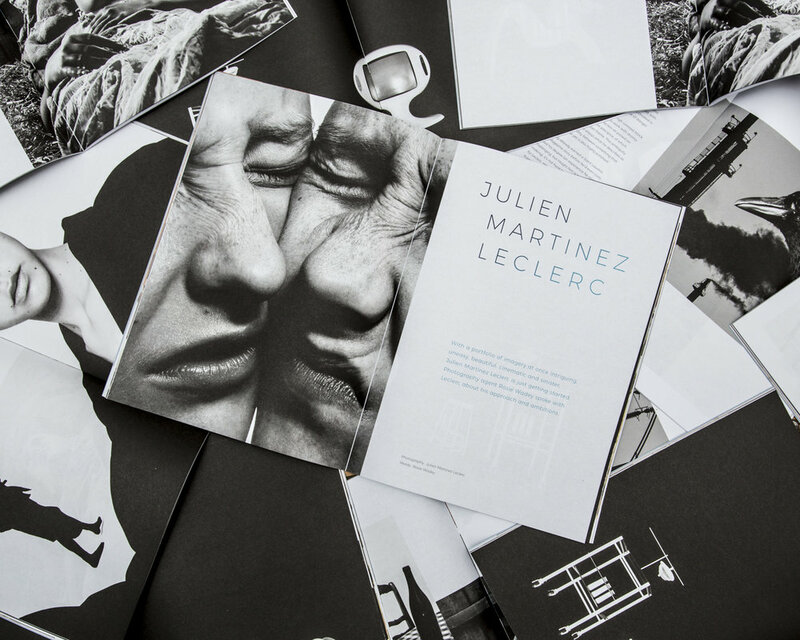 We also share a selection of images from Julien Martinez Leclerc’s broad and yet refined portfolio, thoughtfully discussed by Rosey Wadey. I spoke to Holly Hay, photographic director at Wallpaper* magazine about her role, and asked what advice she has for photographers trying to get noticed. Also featured is the Turning Point in Briony Campbell’s career, Gemma Padley’s review of Do Not Feed The Alligators by David Shama, Adrien Blondel’s Centrefold submission, and Maren Klemp’s sombre image on the Portrait Page. You can pick up a free copy from one of over 60 stockists across the country. Single copies, back issues and annual subscriptions are also available to purchase from our online store. We hope you enjoy the issue.